Seen on St. Patrick’s Day! p.s. If you’d like to see some of the things that inspired me while planning this party (or more good ideas I didn’t get to use) check out my Spa Day Party inspiration board on Pinterest! 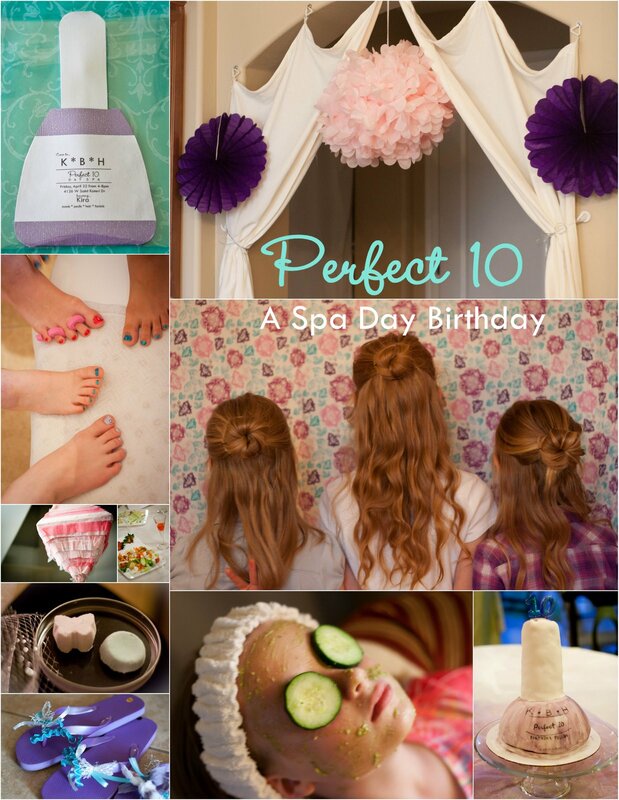 I just wanted you to know that I stumbled across this spa birthday party, and I pinned it. By FAR it is the most pinned pin on my boards!! I have had so many emails saying people repinned it. Great job!! Thank you, Nancy! And thanks for taking the time to pin it! I sure appreciate it! for the job. You can also consider making money on the internet as an affiliate. The affiliate markets and many other business markets work with the simple principles of hard work. Wonderful items from you, man. I have take into account your stuff prior to and you’re just too wonderful. which you say it. You make it enjoyable and you still take care of to keep it wise. I can’t wait to learn much more from you. This is actually a wonderful website. with the most recent news update posted here. Together with the whole thing that seems to be building inside this specific subject matter, all your perspectives are quite stimulating. On the other hand, I am sorry, because I can not give credence to your whole plan, all be it radical none the less. It appears to everybody that your opinions are actually not completely rationalized and in simple fact you are your self not thoroughly confident of the argument. In any event I did take pleasure in examining it. There are no days in life so MEMORABLE as those which vibrated to some stroke of the IMAGINATION. Https://ferrann.com/blog/como-vivir-y-morir-en-el-intento/ on "She’s About to POP! "–the coolest baby shower ever!